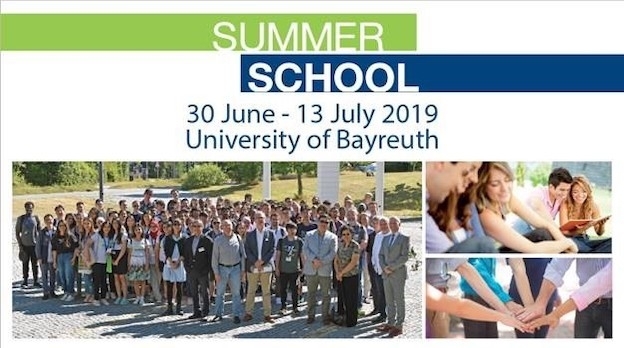 The Bayreuth International Summer School takes place for a duration of two weeks from 30 June until 13 July 2019 and provides an intercultural and dynamic setting reflecting the University of Bayreuth´s focus areas in research. It consists of several individual courses, each with an interdisciplinary approach. The participants have the opportunity to engage in a rich programme that includes theoretical seminars and discussions as well as practical elements such as lab courses and workshops. The Summer School is jointly hosted by the International Office as well as the Campus Academy, the university’s institute of lifelong learning and corporate education. Bayreuth is a historically significant, culturally diverse town with well-established networks, offering the perfect setting to meet interesting people from around the world. Scholars and students enrich the classrooms and labs with their own perspectives on the material. The International Summer School 2019 will give you a better understanding of various aspects of current research areas. From Economics & Management to Polymer Science or African Studies, the Summer School allows you to broaden your academic, professional and personal skills in eight different courses.